For those after their next retro platformer, the SNES-inspired Emerald Shores is out on Steam with Linux support. 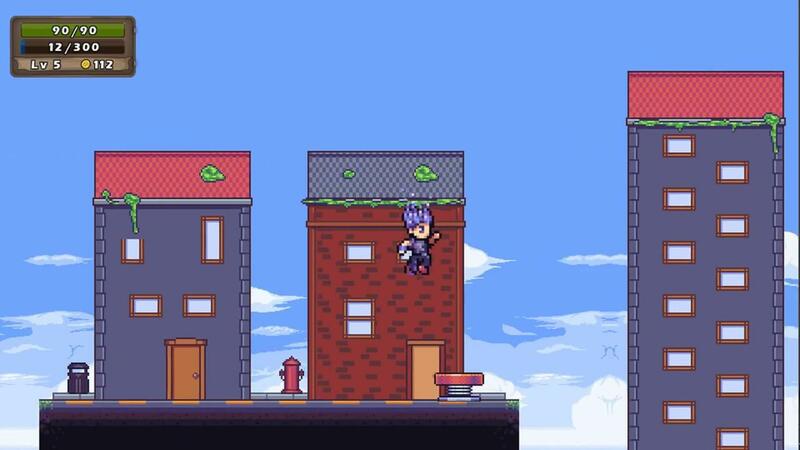 Emerald Shores is a challenging SNES-inspired platformer with a bunch of twists. Level up, take on rewarding sidequests, play unique minigames, unlock secret levels, raise a pet monster, fight an optional mega-leveled beast of a boss, and more! After trying it, I will be honest. It's a little too retro for me, I wasn't really a fan of the gameplay or the style of it at all. It's not just that the graphics are retro, since I actually really like retro-inspired styles and pixel-art, it's just that with Emerald Shores it just doesn't look good. To be blunt, it feels like a "my first platformer". Sadly, it didn't work with the Steam Controller or the Logitech F310 directly through Steam, despite noting "Full controller support" and saying that a gamepad is recommended. It didn't even work when pairing the Steam Controller with SC Controller, so the gamepad support doesn't seem to work on Linux at all. When using keyboard, the game delivers PlayStation symbol prompts too, so it's not great. You can find Emerald Shores on Steam. If you do pick it up and get stuck, the developer has provided a free guide.